Our former nanny, Tita Luz, used to reward me and my sister for sitting through the hour-long Catholic mass by buying us churchyard ambulant vendor goodies like popcorn, sugar-crusted fried peanuts, cotton candy, ice-scramble and waffles. 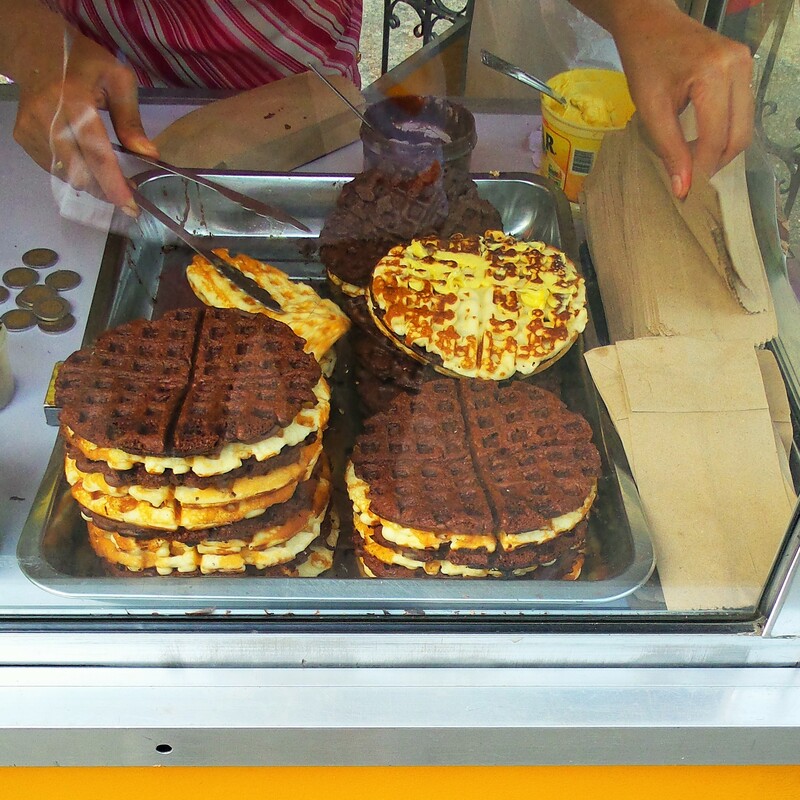 Some recent online buzz about the street cart institution called Waffle Sa Cathedral brought back a flood of memories. Quite plucked to relive the Sundays of my childhood, I took The PussyKat downtown in yet another food-discovery/rediscovery jaunt to seek options for my ever expanding heritage walk itinerary. Striking out on our first try, coming in towards five in the afternoon to the attendants wiping down the cart, we returned at an earlier time the next Sunday. The sight of the unmarked, bright yellow cart parked across the Cebu Metropolitan Cathedral’s East door quickened the pitter patter of The PussyKat’s shoes on the uneven asphalt road. A wonderfully homey scent tickled our noses in a further come hither. 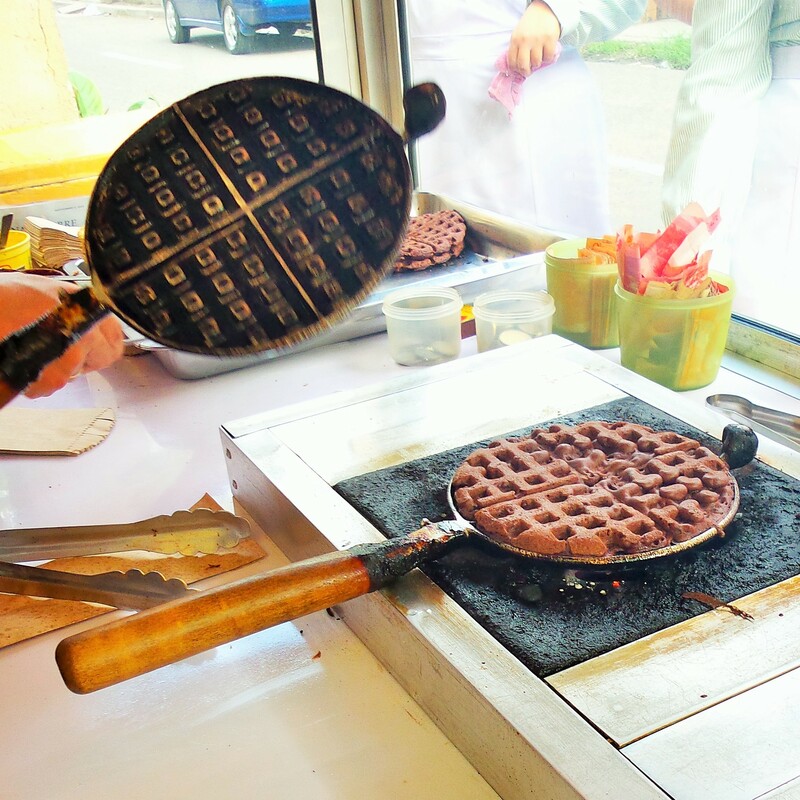 An attendant was busy churning out waffles from a single, handheld waffle iron on a gas burner. I was imagining something like a “mother” batter from the stainless steel mixing bucket, each batch getting tastier than the previous, but that’s just me. Another attendant was busy taking and filling orders while the other did the cashiering. 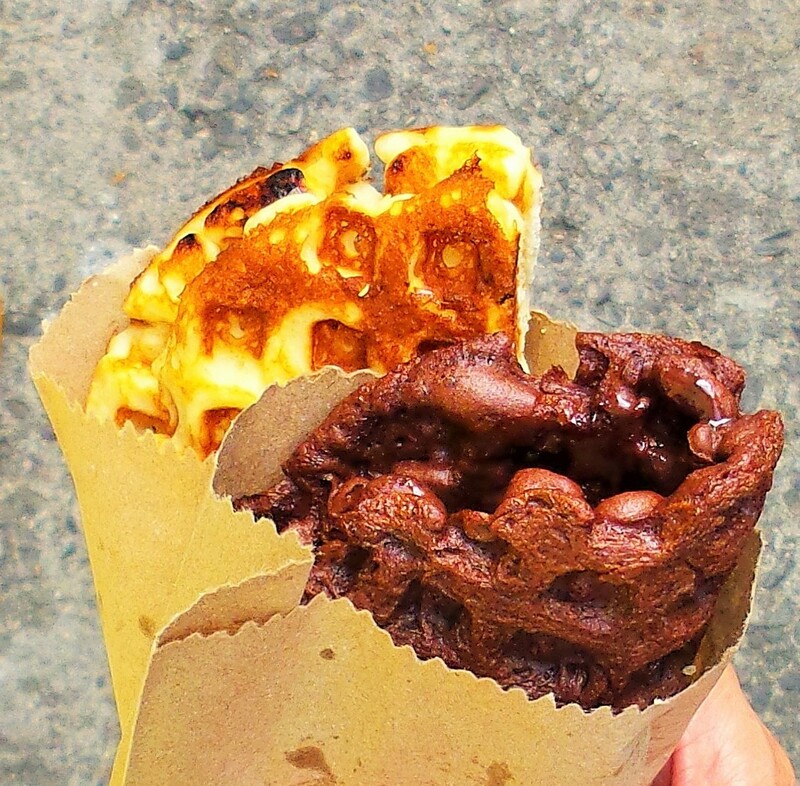 A short while in the queue later and we were presented our steaming hot plain and chocolate waffles in brown paper bags. A slathering of margarine coated the insides of the plain waffle folded in half. While there was nothing radical about the actual waffle, nostalgia may have played a big role in its great register. Ever so slightly sweetened, the pillow-soft waffle provided a great base to the buttery saltiness of the margarine. I wasn’t able to resist going for seconds. The chocolate variant, also ever so slightly sweetened, packed enough chocolate flavor to not disappoint this chocoholic and was bolstered by the addition of a chocolate spread. These are a steal at Php14.00 and Php16.00, respectively. Quite satisfied, we started to head down that same road to on our way home and came across more food carts and one with an assortment of cold beverages. Those were immediately marked for our next visit. 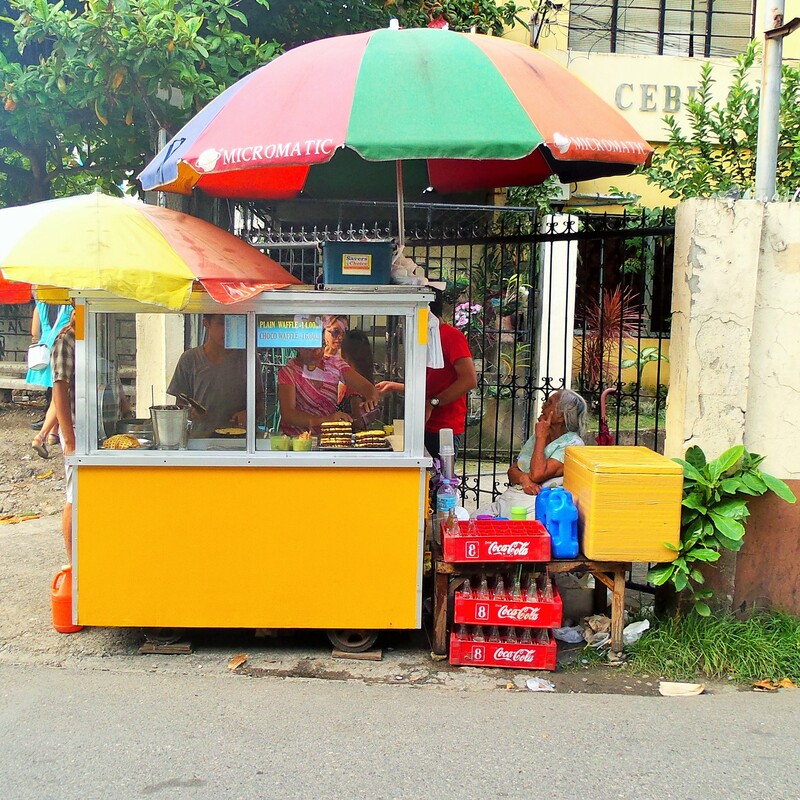 Waffle Sa Cathedral is located up B. Gomez street across the Cebu Metropolitan Cathedral’s East door on Sundays. 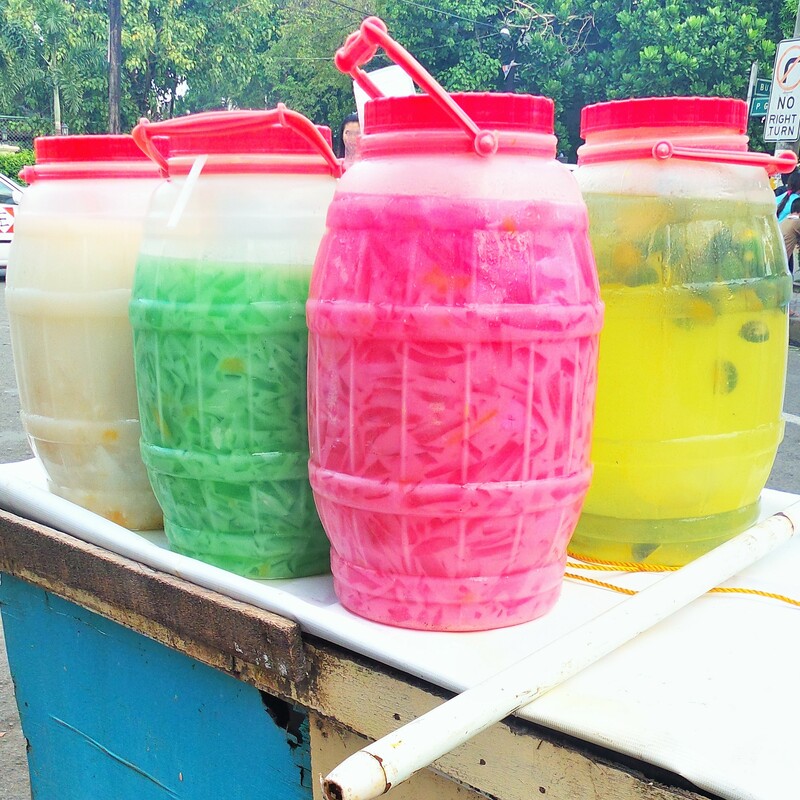 They set up shop around the vicinity of Cebu Normal University from Monday to Thursday. This entry was posted in Uncategorized and tagged cathedral. chocolate, cebu, Cebu Metropolitan Cathedral, chocolate waffles, Food, foodporn cebu, hamburgero, margarine, street food, waffle iron, waffle sa cathedral, waffles. Bookmark the permalink.